Chemistry and Poetry combined? Yes! Using the great activity of making poems out of random words, we now bring you the Chemistry version! 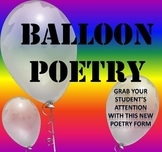 You'll find over 200 words related to chemistry and other fun words to give students a challenge - and a lot of fun - to come up with creative and unique poems. Physics Magnetic Poetry - Fun Science! 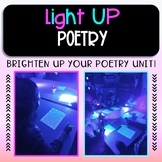 This is a comprehensive poetry powerpoint looking at many different types of poems and examples of them. 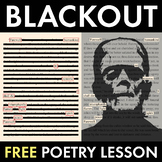 Disclaimer: Much of the content comes from Ken Nesbitt's excellent site: Poetry 4 kids (http://www.poetry4kids.com/) but the PowerPoint, the design, the lessons and teaching points are my own. 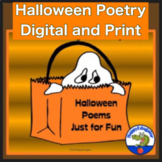 Show your students how much fun they can have by reading poetry with feeling and understanding better the poet's intended message. 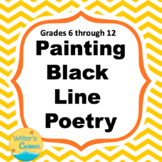 Two poems are included with a number of activities: fill ins, word puzzle, Internet activities, etc.